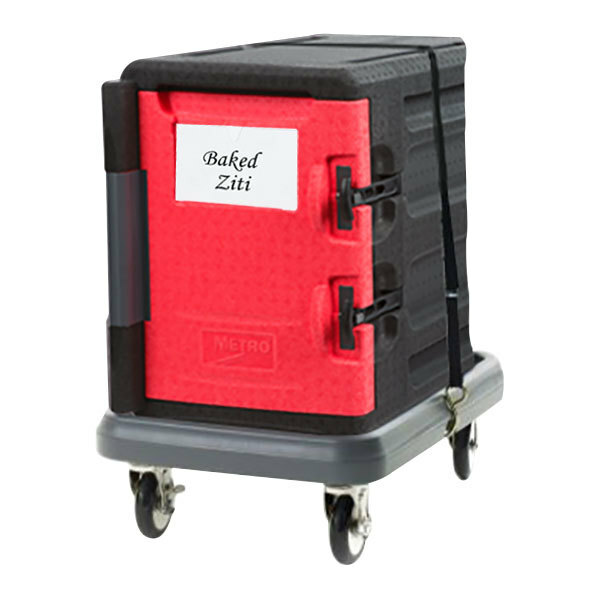 The Metro Mightylite insulated pan carrier kit with two 6 pan carriers and dolly has everything you need to transport your prepared foods to your van, kitchen, or venue in just one trip! 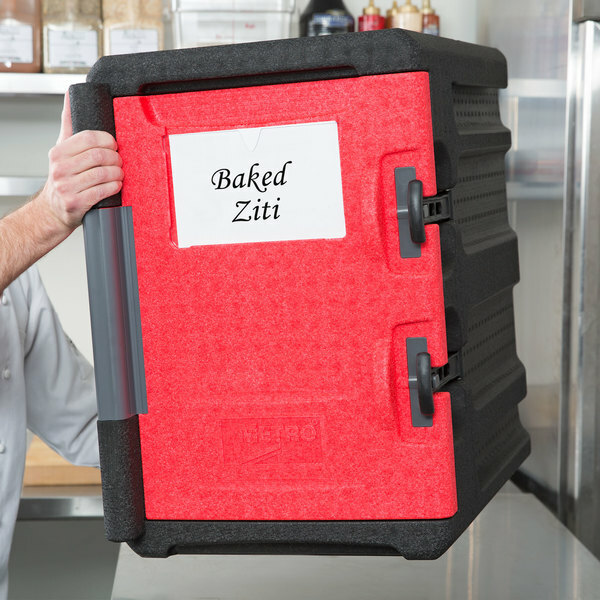 With this Mightylite insulated pan carrier kit, food transport is secure, safe, comfortable, and reliable. 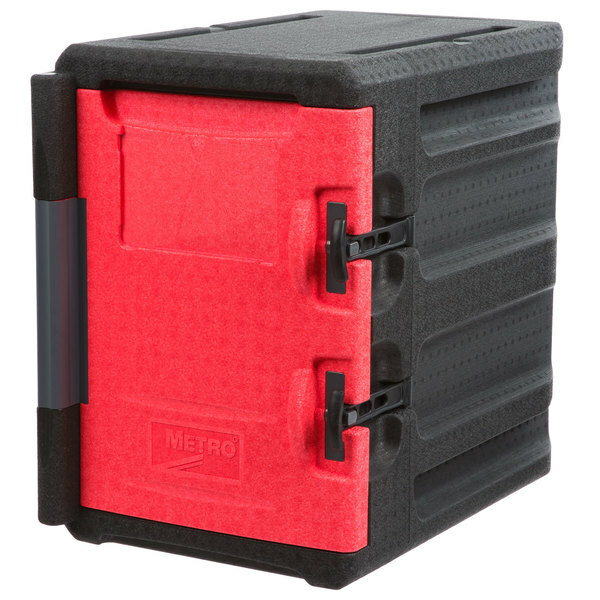 This kit includes two Metro ML400 Mightylite 6 pan carriers, designed to be both ultra-strong and ultra-light. 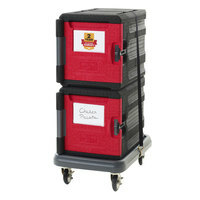 It's the ultimate unit for any catering company or operation that transports food and values convenience! 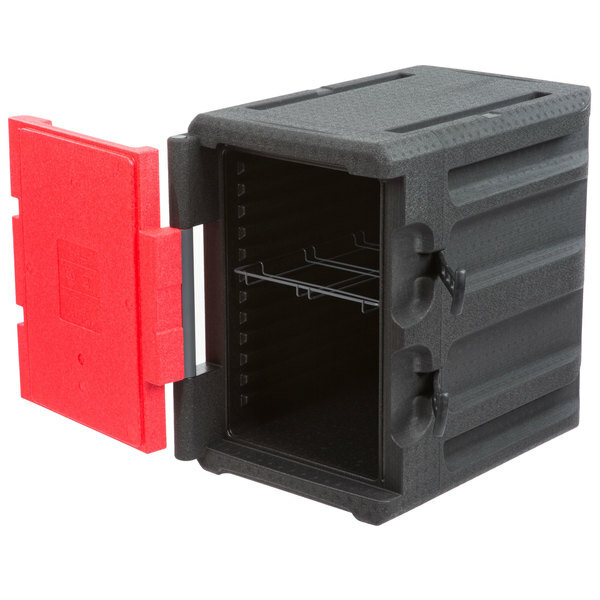 These carriers can hold a total of 12 full size pans on the built-in pan slides, which are designed on 1 1/2" centers. Weighing only 11.3 lb. each, both carriers are not only easy and comfortable to maneuver, but they reduce the pain and strain involved with heavy, bulky loads. Each carrier features an impressive 8 handles, ensuring that it's easy to grip, regardless of how you pick it up. 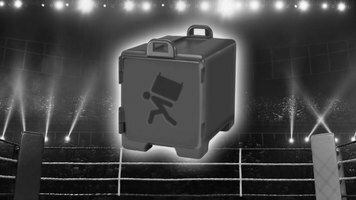 To maximize durability, each carrier's polymer foam construction absorbs impact, making it withstand drops, falls, and bumps with ease. 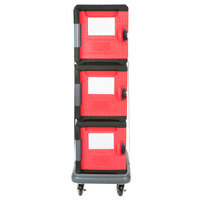 The strength of their design doesn't compromise each carrier's functionality; it only serves to enhance the performance! 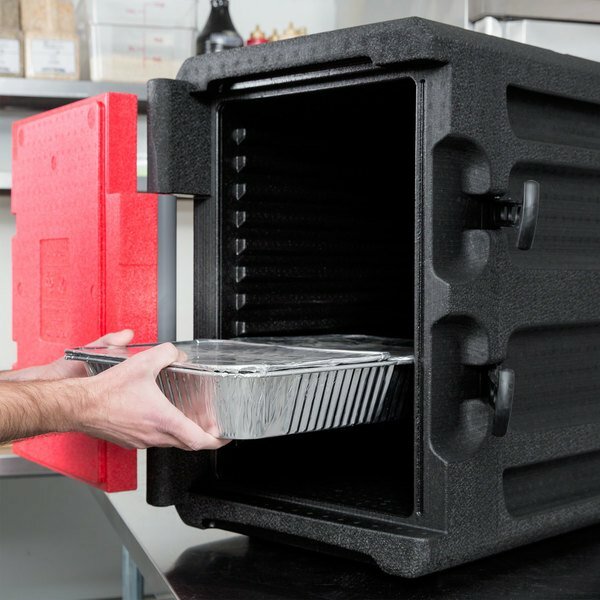 The polymer foam is thermally insulated to help maximize heat retention, keeping cold food cold and hot food hot for over 5 hours. This time period allows you to travel long distances to remote venues without worrying about the integrity of ingredients or prepared dishes. 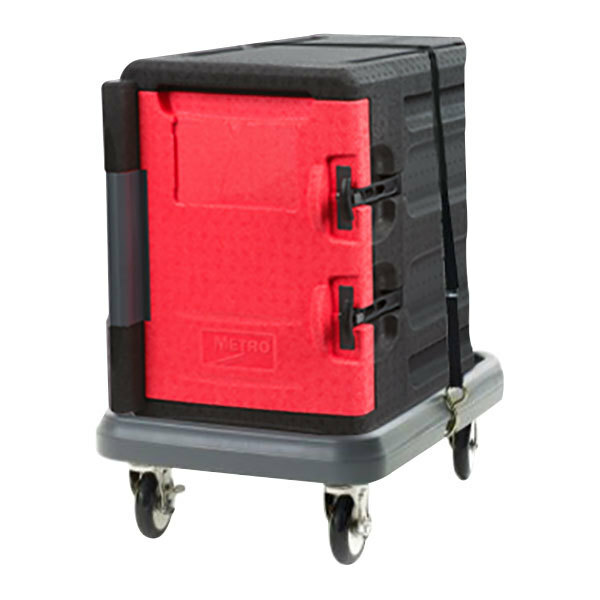 To safely secure the food during transport, each pan carrier's door features an integrated hinge and a heavy-duty travel latch. The door itself swings 270 degrees, providing easy access to the interior. 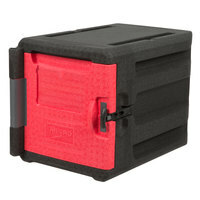 It also doesn't require a gasket, as its built-in seal ensures that the door closes tightly and securely every time. 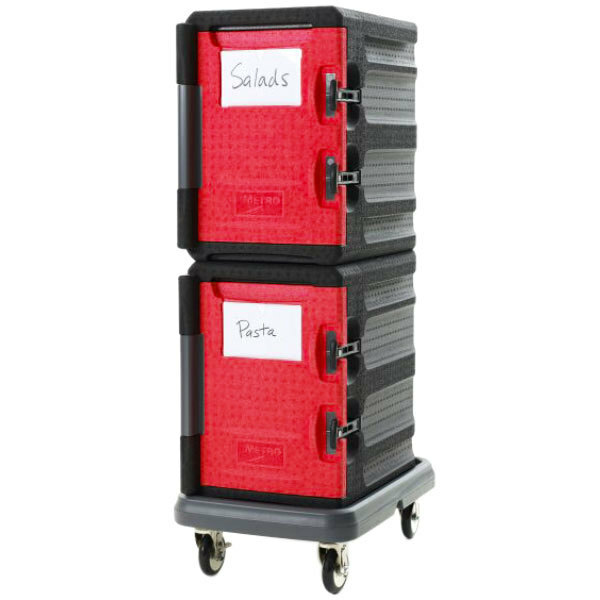 For added convenience, a clear label holder / whiteboard is mounted to each door's exterior, allowing you to slip in a label or write directly on the plastic to specify what dishes are inside. This makes food identification quick and easy when you're hurriedly preparing the meal and culinary presentation. 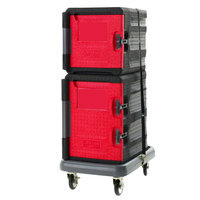 To make your job even easier, this kit includes the Metro MLD1 Mightylite pan carrier dolly. 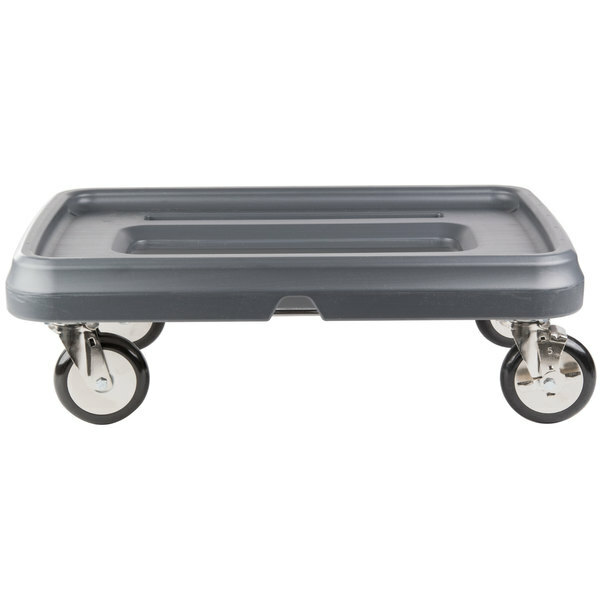 Designed to accommodate your Mightylite pan carrier, the dolly can hold up to 350 lb. thanks to its heavy-duty design and high density polyethylene. 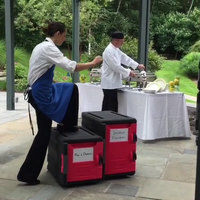 A set of four plate mounted casters swivel to make maneuvering in tight areas easy, and 2 feature brakes to lock the dolly in place during the loading or unloading process. Each of the casters include a 5" donut neoprene wheel. 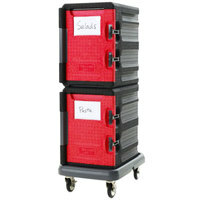 To help secure pan carriers and supplies onto the dolly, a convenient 1" x 15' strap is included. These insulated pan carriers are so tough, you can even step on them. Built durable. Mightylite pan carriers from Metro. Come out swinging with Mightylite. Fully loaded. Throw it against a wall. Throw it out of a truck. They are insulated and you can hit them with baseball bats. Come out swinging with Mightylite. With the Metro Mightylite, loading your catering van is faster than ever! 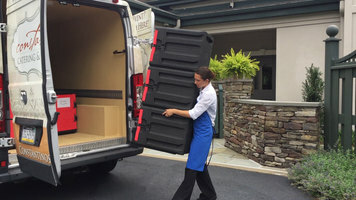 In just one easy trip, you can carry 3 stacked units to your destination, expediting the process and keeping you on schedule.